Just Listed & Open Sunday – Townhouse Next to Tysons Metro! We just listed a beautiful brick-front townhome in an ideal location – next to the new Tyson’s Metro stop, Tysons Corner Center, and just minutes from downtown Vienna, great schools & major commuter routes! Enjoy three finished levels of living space, a flowing floorplan and an abundance of natural light! Exceptional features include a 3-level sunroom extension off the back, bright eat-in kitchen which opens to the family room with gas fireplace, formal dining area, spacious master suite with vaulted ceilings and sitting area, and a finished walkout lower level with custom wood bar & built-in bookcases. The upper deck & lower stone patio (which back to the wooded common area) create great outdoor living space & make entertaining & relaxing a breeze! Directions: From Tysons: 123S; RT on Old Courthouse Rd; stay straight onto Gosnell; Left onto Raglan; 1st Left onto Harvest Oak, 8524 on RT. From new Tysons Metro station: West on Rt 7 then immediate left onto Gosnell; RT onto Raglan, then as above. Just Listed – Stunning Home on One Plus Acre on Woodford Road in Vienna! Elegant brick colonial backing to trees on over one acre lot near Tysons! Features include 2-story family room, gourmet kitchen with granite countertops & stainless appliances, office with built-ins, master suite with sitting area, finished walk out lower level with rec room, game/exercise rooms, & au-pair/guest suite. A 2-tiered deck adds great outdoor living space. 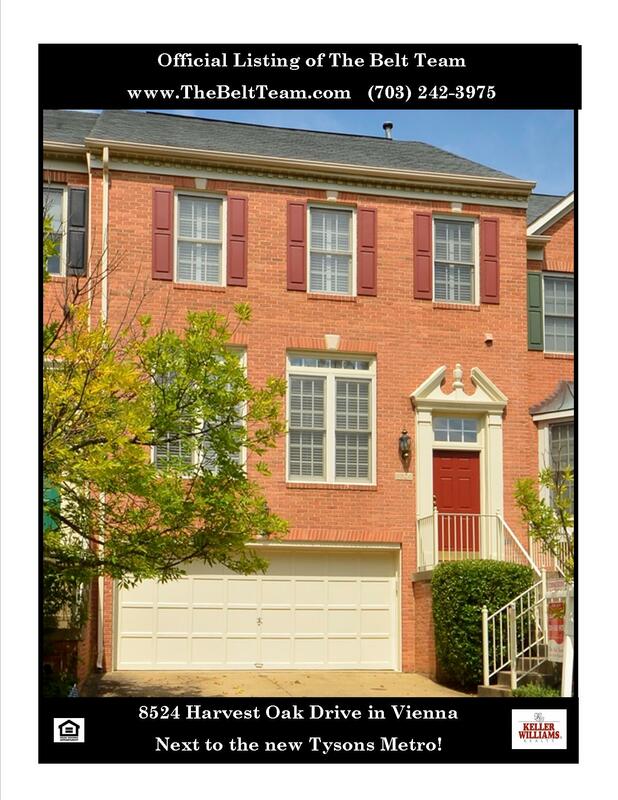 Minutes from Vienna & Tysons, great schools & easy access to commuter routes!